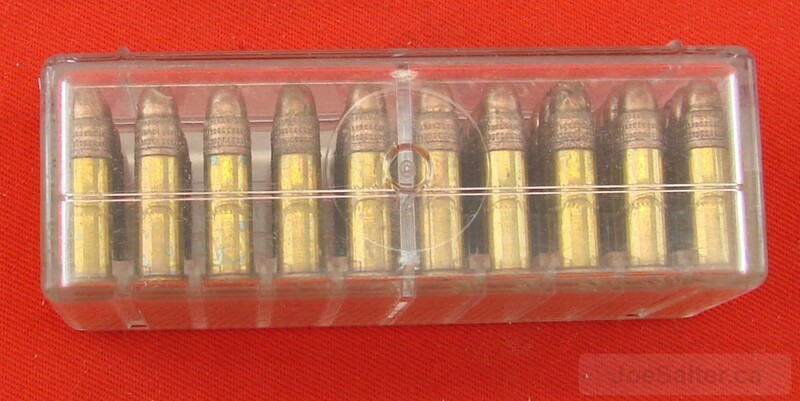 Box of 50 22 LR cartridges. Built by CIL for the Canadian military . 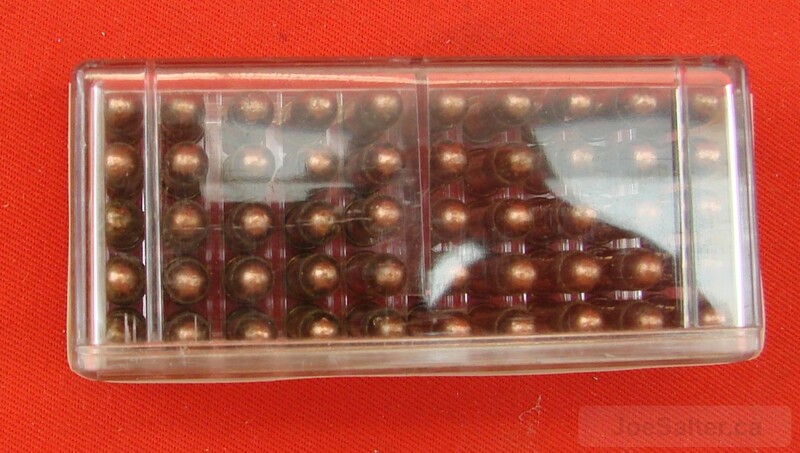 All D headstamped. 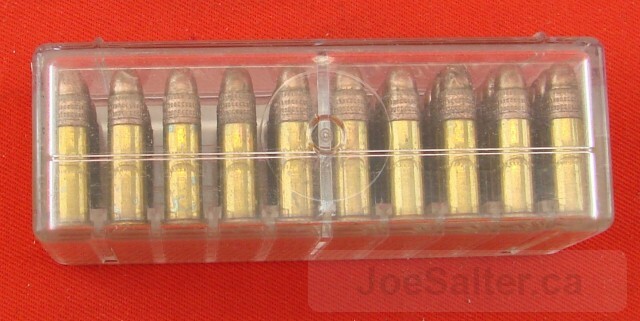 Plastic boxes with white label property of D.N.D. 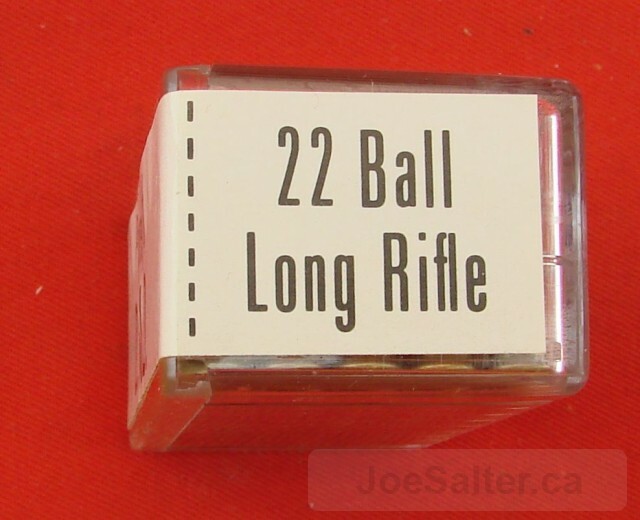 50 cartridges and 22 ball long rifle. Neat box for 22 ammo collector.